MI MIX 2 is an upgraded variant of Xiaomi's last smartphone MI MIX. In this you get more good features than Mi MIX, but its display is slightly larger than its previous variant. In terms of price, this smartphone is more expensive than MI MIX. This smartphone comes with Dual SIM slot. Xiaomi Mi MIX 2 has a 5.99 inch quad HD (1440x2880 pixels) 18: 9 display. It has 6 GB RAM with snapdragon 835 processor. There is a 12 megapixel Sony IMX 386 sensor on the rear panel. It comes with four axis optical image stabilization. On the front panel you will find a 5 megapixel front camera which comes with facial recognition. Connectivity features include 4G LTE, dual-band Wi-Fi 802.11 AC, GPS / A-GPS, Bluetooth V5 and USB Type-C . Dimensions of Xiaomi Mi MIX 2 are 151.8x75.5x7.7 millimeters and weighing 185 grams The battery is 3400 mAh. You will find accelerometer, ambient light sensor, barometer, digital compass, gyroscope and ultrasonic proximity sensors. This smartphone is available in 6 GB RAM and 128 GB internal storage variants. In this you can not increase the storage through micro SD card. The MI MIX 2 smartphone costs around Rs. 32,999. Mi Note 3 is an updated version of MI 6 launched last year, though there are some features like Dual Rear Camera, Facial Recognition and AI Based Bytefi. The phone has an Adaptable AI Beautify feature. The phone body 7 Series is of aluminum. It also has fingerprint sensor and stereo speakers. Apart from this, the phone has dual sim, 5.5 inch full HD display, 2.2GHz Snapdragon 660 processor and 6 GB RAM. The phone will be available in 64 GB and 128 GB storage variant. Talking about the phone's camera, a 12-megapixel wide-angle dual rear camera is setup, which has an aperture f / 1.8. The camera has 4 support and 2 x zoom. The front camera is 16 megapixels. In addition, the phone has 4G LTE, dual band (2.4GHz and 5GHz) Wi-Fi 802.11c, Bluetooth v5.0, GPS / A-GPS and USB Type-C port. The phone has 3500mAh battery. The starting price of Xiaomi Mi Note 3 is CNY 2,499 i.e. 24,500 rupees. This phone has the value of variant with 6GB RAM / 64 GB of storage. The black variant of 6 GB and 128GB of storage will be available at CNY 2,999 i.e. about 29,400 in blue variant with 128 GB storage with CNY 2,899, which is 28,300 and 6 GB of RAM. MI A1 smartphone comes with two cameras and you get great features. The Mi A1 has a 5.5-inch full-HD display that has the protection of the 2.5D Corning Gorilla Glass. It has 4 GB RAM with the Octa-Core Qualcomm Snapdragon 625 processor. Inbuilt Storage is 64 GB and it is possible to use MicroSD card if required. Mi A1 comes with hybrid dual sim design. If you do not use MicroSD card, then two nano SIM will be able to apply. Talking about the cameras, there are 12 megapixel two sensors. Wide angle lens with an F 2.2 aperture and the second F-2.6 aperture telephoto lens. This camera setup got us to see in the flagship Shaomi Mi 6. Due to telephoto lenses, you will also get a 2x optical zoom which is worth considering. Camera app also has portrait mode for Bokeh effect like iPhone 7 Plus and OnePlus 5. I have been given a 5 megapixel camera on the front panel of A1, which comes with real time beautification. If you talk about the price of Mi A1, then the price of this smartphone is about 14999 rupees. According to this, Mi's smartphone is a very good budget smartphone. MI Max 2 smartphone is a kind of a fable. It comes with a 6.44 inch large display, so this is the best smartphone for those who prefer smartphones with larger displays. This smartphone is the upgraded variant of Mi Mi's last fable Mi Mixture. It has more features than the Mi Mix. Xiaomi's Fable Mi Max 2 is available in the Indian market and its price is 16,999 rupees. If you talk about features and specifications, then it has a 6.44 inch big screen in Mi Max 2, with resolution of 1920x1080p. The display has a 2.5D curved glass, which makes it easy to use. Mi Max 2 has a 4GB RAM with Qualcomm Snapdragon 625 OctaR processor. Xiaomi Mi Max 2 has been given Android 8.5 based Android 7.1.1 nuggets. Its internal memory is 64GB. Its second variant has 128GB of internal storage. For the photography, Mi Max 2 has a 12-megapixel rear camera. It also has Face Detection Autofocus and Dual LED Flash. For the selfie it has a 5 megapixel front camera. The special thing is that its camera can record 4k video. It has a power battery of 5,300 mAh. Shaomi Me Max 2 weighs 211 grams and dimensions are 174.1x7.7x7.6 millimeters. It costs about Rs. 16,999. Both the Redmi Note 5 and Redmi note 5 pro have just launched in 2018 and both smartphones are great, but Redmi Note 5 Pro is better than Redmi Note 5 and has given better features and specifications. Are there. That's why this smartphone is much more liked. If you talk about features, in the Redmi Note 5 Pro, you will also find the HD display of 5.99 inches larger, which will give a resolution of 1080x2160 pixels. In terms of display, both smartphones are the same. In addition, in the Redmi Note 5 Pro, you have been given Qualcomm Snapdragon 636 processor. This Qualcomm Snapdragon 636 processor is the world's first smartphone to come up with. The latest Cryo 260 CPU is given in the phone. The company claims that it is the fastest performance phone in the Redmi Note series. Apart from this, you will get 12 megapixels and 5 megapixel dual rear camera and you will get 20 megapixel front camera for selfie. The company says that the phone can be selfie even in low light. There is also LED Selfie Lite with camera. This phone was also launched by the company in two different variants. One variant will be available with 4 GB RAM and 64 GB internal storage and the second variant will be available with 6 GB RAM and 64 GB internal storage. Prices of both variants will also be different. This phone also features FaceAnallock, which will identify the face of the phone and open it. The phone has a battery of 4000 mAh strong battery. This phone will be available in Black, Rose Gold, Gold and Blue colors. So seeing these fantastic features of the Redmi Note 5 Pro and comparing it with Radmi Note 5, it is clear that this smartphone is much better than the Redmi Note 5. 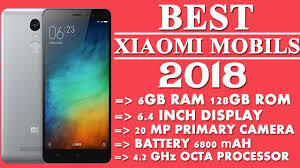 According to the good features, if you are thinking about taking one of the two, redmi note 5 pro will be a better option for you. The price of Redmi Note 5 Pro starts at Rs. 13,999 in India. This price will get 4 GB RAM and 64 GB storage variants. For 16,999 rupees you will get a variant of 6 GB RAM and 64 GB storage.